Riding a motorcycle or ATV is one of the great joys in life. Those in the motorcycle community know well the special responsibilities that come with their two-wheeled passions. Sadly, adherence to the rules of the road is often a one-way street in that too many drivers lack even a basic understanding of how to share the streets with the motorcycles around them. 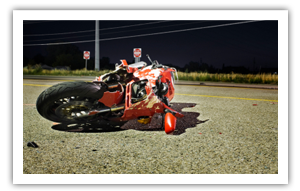 Compared to other accidents, those involving motorcycles are often the source of great conflict — a rider who knows exactly what just happened and a driver who has no idea what just happened … but is 100% sure that they could not possibly have been at fault. If you or a loved one has been injured in a motorcycle or ATV accident, let the experienced professionals of Inserra | Kelley | Sewell, Injury Attorneys stand with you to protect your right to fair treatment and fair compensation.